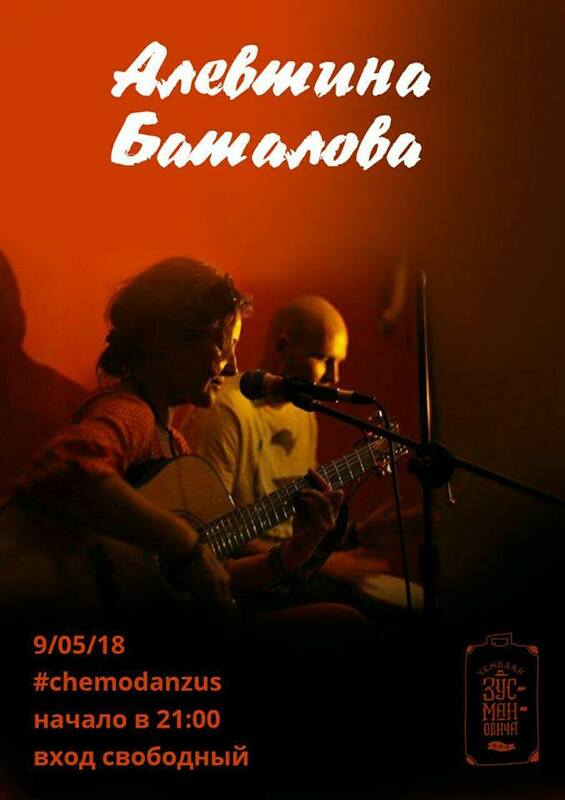 Alevtina Batalova plays at #chemodanzus. Alevtina Batalova is a singer and live performer. Her songs are strong on Russian lyrics accompanied by her own guitar and some percussion. Alevtina performs her own songs. The mood of her songs is thoughtful and reflected. Alevtina Batalova is a repeated guest in Bishkek and also at Zusmanovich’s Suitcase it is not her first performance. She can count on a steady and consistent following for her concerts. The Russian version of the artists name is: Алевтина Баталова. Transliterated into latin characters it is Alevtina Batalova. More Videos of Alevtina can be found on YouTube.